In the rounded corner of this triangular building is the director's residence. A second residence above the School of Music was once reached up a stone staircase, since replaced by a steel spiral stair. Changed, too, are the window and door frames, once of grey steel, now in brown aluminium. 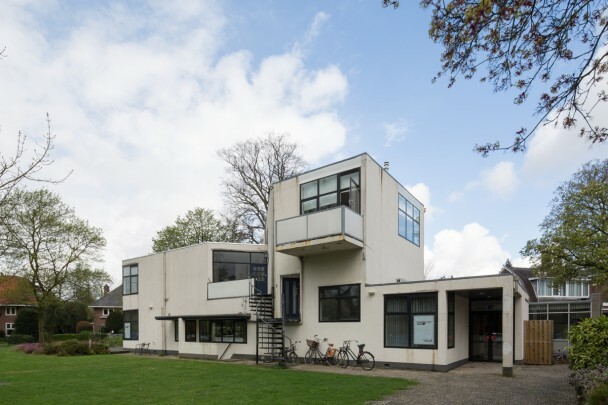 Lacking the spatial qualities of the Schröder house and his later work, this plan is nevertheless a good example of Rietveld's Functionalism of the '30s.